Not only did I learn the marketing aspect, but I further edged the podcasting competition by acquiring sound design and audio branding skills to make a program sound like they were produced direct from a radio station. 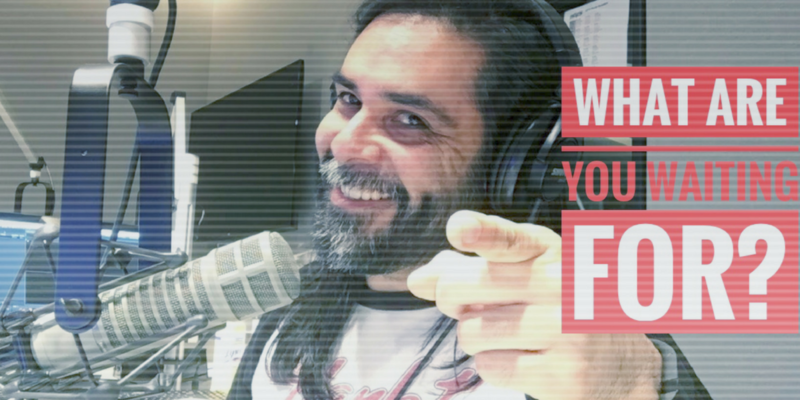 Aside from all of my qualifications, I’m here to tell you the art of podcasting is more than just hitting the RECORD button and talking into a microphone. It’s a symbiotic relationship between the technology and who you are as a presenter. Unless your guest is using a sweet podcast setup like this one, their audio is always going to sound like they’re six feet away from a microphone. The reason for this is because they’re likely using their computer’s on-board microphone or the microphone that is coming directly from their webcam. You’ve likely heard podcasts where your guest’s audio is consistently cutting in and out of the recording. Spotty audio makes for a poor listening experience and gives listeners a reason to shut the podcast off and move onto the next program. I know it has for me. Also, unless your guest is using something like a Blue Yeti USB microphone for their interviews with you, their audio is always going to sound poor and like they are shouting into the webcam microphone. Once you have made this setup, you can purchase a Skype plan that allows you to make phone calls to actual numbers. This should only cost under $3 per month. It’s actually well worth it. The reason I recommend this setup to all of my clients and YouTube subscribers is because phone calls already have a volume that is “normalized” for anyone to hear. In other words, the audio level is already at an optimal level in order to hear the phone call. Have you ever heard a radio interview where the phone call sounded crystal clear without any skipping or distance problems? When Skype phone calls are fed through a mixing board, they are already normalized at the phone level. The only thing that needs to be optimized is how the phone audio will come over the recording. This is optimized at the podcast host/recorder level. Again, please refer to the video above for optimal settings. There is software out there that can accomplish an interview recording, but it’s only available for Mac. Using Ecamm Call Recorder is a great option if you don’t have access to a mixing board. Check out Ecamm Call Recorder here. The bottom line, everyone knows how to use a phone because it’s easy for communication. When you’re dealing with webcams, operating systems, microphones, etc, it can get a little messy. Again, this is going to be optional, but highly recommended. Podcast intros are always a touchy subject for podcasters because the proper length is something that can snag a podcaster. The type of intro I’m talking about is the one that is pre-recorded with a voiceover artist reading some copy about the podcast. Most beginning podcasters feel that a pre-recorded intro that is one minute long will do the trick to properly brand the podcast, but in reality, this is far too long. I realize that podcasting is a different style of “radio” for a lot of listeners out there, but one thing that hasn’t changed is the listening behavior. How many times have you heard someone say, “I love the podcast, but the intro is way too long”? I don’t know, maybe you haven’t but in the circles that I run in, one minute is a waste of valuable time that the listener is using to push the button to advance the podcast by 30 seconds just so they can get directly into the content. The tagline/position statement of your podcast. If you can find someone who will sound design/brand your podcast, they can make this type of pre-recorded intro sound like it came straight from a radio station. I recommend doing a Google search for “sound designers for podcasts” if you’re looking to spend money. Your music will fade out and you can jump right into your interview. This is a tactic that I learned after board operating for the popular talk show, Loveline with Dr. Drew and Adam Carolla. Once your pre-recorded intro has played, it’s now the host’s turn to take the wheel and drive the vehicle. Too often, podcast hosts get wrapped up in what they had to eat for lunch, whether their pet is sick or what the weather is like outside. These things are OK to talk about, but as a podcast listener, nothing can be more unattractive than a podcast host who just rambles on and on within the first 5 minutes about nothing with no direction of what the show is going to be about. As you notice, there isn’t a whole lot of banter going on between the guests. This doesn’t mean that you can’t have fun and ask about things like the weather, but communicate it in a way in which it makes sense for the listener. Ask your questions that will make your listeners curious. If you create a conversation that is only relevant to the individuals inside the podcast recording, your listener feels left out. As a presenter, it will always be your duty to keep your audience in mind by trying to make them a part of the conversation--even though they are not actually there. There is something that just makes the presentation a little more personal when you refer to your audience this. The bottom line of this section is to not waste time within the first 2 minutes of your podcast. Your listeners love when you jump into your content. Ancillary guests hosts don’t need to provide too much in terms of speaking if they are the expert in their field. If you are establishing their authority right out of the gate, they don’t need to talk other than when it pertains to the topic at hand. On February 27, 2019, Apple released a set of updates one how you can release your podcast episodes on their platform. These “best practices” can result in your show not being approved or being removed from the podcast platform. Coming up with the episode title of your podcast is just as important as the recording of your podcast. After all, your episode title is the one thing that is going to pique the interest of a listener if they decide they want to listen to your program. These are the two more important guidelines when it comes to titling your podcast. The truth of the matter is that these types of titles have a likier chance of NOT getting clicked because, well, THEY’RE BORING and not descriptive. If you’re looking to get your podcast organically discovered through Apple Podcasts or any other syndication platform, your titles are searchable just like anything else. Further, your show titles are equally important as if you were writing a title for a blog title. And if you’re putting your podcast on your blog, you know how important the titling of your blog is for organic search discovery through Google. A great way to come up with podcast episode title is to listen for any quotes that come up in the recording itself. This is probably the easiest way to come up with a title of a podcast. Just make sure the quote you pick can interest your listener when they read the titles of your programs. Show notes for your blog. Show notes for the syndication platform. For Wordpress users, there is a plugin called Powerpress where you can kill two birds with one stone when it comes to posting your show notes on your blog and inside of Apple Podcasts. This means you can post everything all at once and not have to worry about posting a separate set of show notes inside the actual hosting platform itself. Using something like Powerpress means that you are putting more value into the discovery of your blog if your show notes are dense and have plenty of description for Google to crawl your site. But doing show notes like this can look bulky and unappealing when it is cross-posted from your website over into syndication platforms like Apple Podcasts, Spotify, Stitcher, etc. However, show notes on a syndication platform are different. When you create show notes for syndication platforms, it’s important that your show notes are inputted directly into your hosting platform (Libsyn, Blubrry, Spreaker, Podbean, etc.). These types of show notes are similar to the descriptions you read inside of a Netflix program. When you look at those descriptions, they are brief and are a small breakdown of what people are about to watch. Think of your podcast in a similar fashion by providing an overview of the program. Since we are dealing in an audio format, it will be important for the podcast host to bridge the gap between what is being heard and what is being seen on a phone or computer. 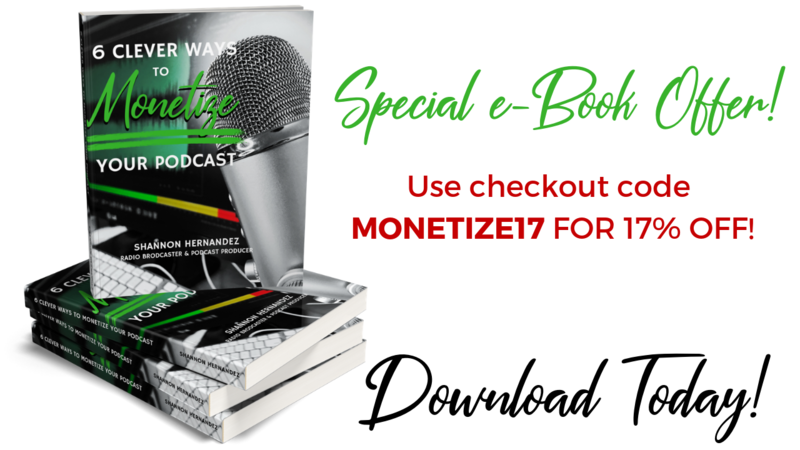 If you are a blogger, small business owner or anyone looking to build an audience through podcasting, provide calls-to-action inside of the program you are recording by having your listeners explore the show notes for links you mention inside of the podcast. Good podcasters will provide social media links to any of the guests that show up on their podcast. Great podcasters strategically mention the importance of a link and direct their listeners to explore the show notes section of the podcast listening app so they be pulled further into the podcaster’s orbit. This means the podcaster can provide links to lead magnets for free downloads, links to contact the podcaster, or links to contribute and support the podcaster through something like Patreon or the Facebook Supporters Program. Engage your listener to explore the show notes of the app so you can create a behavior for your listener to take action on something you have mentioned in your podcast. We pick up Part 2 of my interview with Jamey Jasta and Howard Jones when they visited the 98 KUPD studios in May of 2018. Today you will hear Jamey talk about the reasons why he chooses to be clean and sober and how it not only affected his on stage performance, but what it did to the fans. Also, we will dive into a story that Jamey tests out on our podcast first before he releases it on his own podcast recording for later that night. This whole story involves Roger Miret from Agnostic Front and how he was a "tour guide" to touring in Chile. The listener should learn what Roger's favorite food is by the end of the story. And Jamey and Howard jump into the business of selling merchandise and share some very basic strategies about selling merch, understanding whether merch is doable on a touring budget and how to sell merch in unusual circumstances. Thanks for listening this week! I won’t sit here and tell you my show notes are the best, but I utilize them for what I know will work within my own podcast. How will you utilize the show notes section? I think it’s fantastic that people are creating shows on Facebook and YouTube Live to double as a podcast for people to consume. I’m all about working smarter, not harder. But when it comes consuming via audio, podcast hosts conveying the message tend to not give context for those who are only able to listen via audio. For example, let’s say you’re a new listener who is thumbing through Spotify or Apple Podcasts and you just happen to stumble upon a podcast that looks really interesting. The podcast titles are engaging and the descriptions really whet your appetite for wanting to consume more. You dive deeper and hit play. All sounds great with audio branding and the opening delivery, but before you know it the host starts making references to “leave a comment down below if you have a question” or “look at what Marci is doing”, but no context is being made. Playing this game can be very sensitive if the listener has no idea what you’re talking about. Although you might not lose the listener completely, they still feel left out of the conversation because the host is referencing everything to an audience that is watching, not listening. How does a Facebook Live host alleviate this? By providing context in the live feed. For example, I currently work with a client who pre-records all of her podcasts in a video format. Each of these podcasts are done “as live”--just as how you would watch any late night TV show like Colbert, Fallon or Conan--but she also understands that her audience watches AND listens to her podcast. Therefore, she provides context throughout her program. As she breaks down what she will be talking about in the program, she is very aware of where her listeners are going to be commenting or consuming. On some occasions, she will play a piece of video, but makes sure that she informs the listening audience that a piece of video will be playing and will describe what happens in that video. If you decide to repurpose your Facebook Live, don’t be afraid to provide context to your audience that is listening solely on a phone. The context makes a big difference when you’re trying to pull more listeners into your orbit. If people are watching live, the viewers will be more forgiving if you provide context to the audience that is listening. This is a tough challenge for any person doing a live video feed, but it’s possible. I currently face the same challenge when I perform Facebook Live feeds while I am working my normal radio on-air shift. When I do Facebook Live on the air, it’s my goal to push people from the listening audience to come onto the Facebook Live to engage. But those who are already on the Facebook Live are being primed to jump off the Facebook Live feed to tune into the radio to generate listening time/ratings for my shift. Because I’m talking with two different audiences, it’s always hard to provide context, but do what you can because you don’t want to alienate one audience for another. Whether you’ve dropped 3 episodes, 5 episodes or 20 episodes, it’s never too late to start seeding calls-to-actions in your podcast to get your listeners to become a larger part of your universe. As a podcaster, offering something to your audience to bring them closer into your orbit is strategically smart. this means creating some form of opportunity to have your listener get on to your e-mail newsletter list, subscribe to your podcast, contribute to your Patreon, and more. If you haven't created any of these opportunities, I recommend that you start first by developing a way to get your listener to get on to your email list. As many of my marketing friends consistently reiterate, having an email list is more valuable than any type of follower account on Instagram or Facebook. Email data is owned by you, not by an entity like Facebook or Twitter. 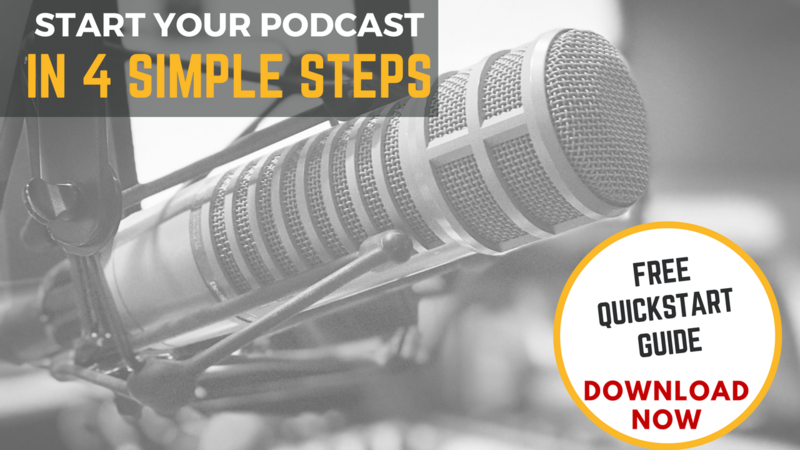 With podcasting, create offers before you start presenting particular portions of your podcast segments. In radio, this is something that is very common. You've likely heard of a segment being sponsored, right? I want podcasters to do the exact same thing. 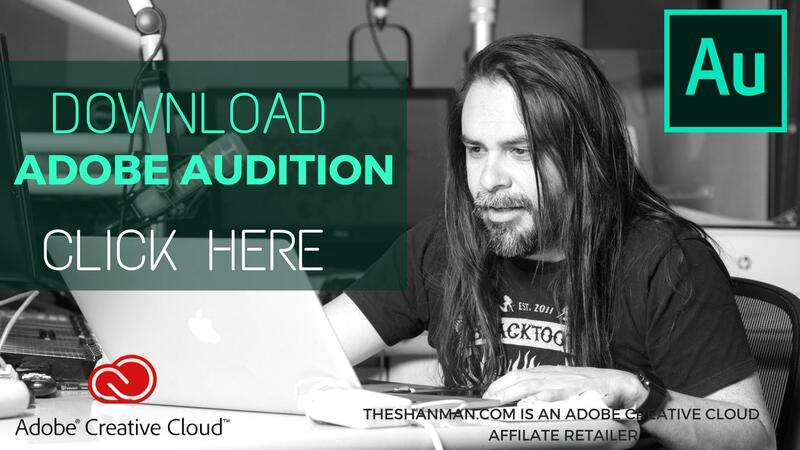 Seed your calls-to-action in nearly every episode that you create for your podcast. Choose specific spots in which these calls-to-action can be heard at the same time every podcast. Build a behavior for your listener to know what they are about to hear and give attention to what it is that you want to promote. 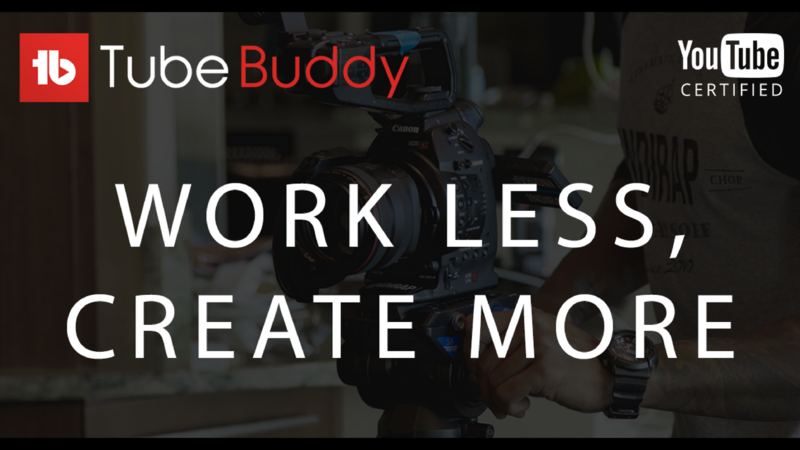 This means that each time you record your podcast, you're going to have to remember your calls-to-action as you recording live. Be prepared. This tip directly correlates to Tip #3 in this list. If you're hosting a podcast with multiple guest hosts, conversations can be a lot of fun. After all, the beauty of having fun in a podcast is what differentiates podcasting from radio. There are no rules or the FCC breathing down your neck about what you can and can't say. What most podcasters don't understand is the art of conversation and staying within the context of what they are trying to convey. Many times I have heard hosts and guest hosts start with a topic, begin to elaborate, then delineate from the conversation by talking about what they had for lunch. Then the conversation all of a sudden turns to what they bought on Amazon, the reason why their printer isn't working, they start talking with their dog, etc. Podcasters have the worst form of A.D.D.-- not realizing that the listener is experiencing something completely different. Even though talking about these things is okay, these topics have their own time and place to be discussed. It's important that the podcaster sticks to the conversation happening in the moment and does their best to not delineate from the topic at hand. Unless a story about your favorite lawn mower is a direct example of how to illustrate the topic at hand, very little should be spoken about topics other than the one that you're focusing on in the moment. From a radio perspective, hosts are meant to stay on point and get through a talking break within their allotted time. This means the hosts are communicating effectively and getting to the point without wasting the listener’s time. If a host does fall off the tracks, the listener can just push the button in the car to go to the next station. This is the same in podcasting. From a listener perspective, when someone experiences banter that doesn't relate to the topic at hand, there is the option push the fast forward button by 30 seconds or just go to another podcast. Because the listener has this power in their hands, it means the podcast host and guest host need to be more conscientious of what they are saying and how it’s being conveyed to the listener. In radio terms, stick to the topic. I'm not asking you to listen to your podcast for the sake of enjoying it. Well, I am, in a sense. But I want you to listen to your podcast for a reason other than enjoying it. I can't tell you how many times I have spent time editing a podcast, saving it to my computer, logging into my hosting service, uploading my podcast, entering in the show notes, and realized that my one-hour podcast only has 23 minutes uploaded. Aaaagh! Whether you’re using Adobe Audition or Audacity, make sure you're double-checking your work. Reopen the final mixdown MP3 into your digital audio workstation and make sure that your podcast is completely rendered. This means you should check for the appropriate length of your podcast, whether your podcast is saved at the appropriate bitrate (at least 96kbps), or whether any mystery sounds have been accidentally mixed into the podcast. In all my years are producing podcasts, I have made these mistakes countless times. Luckily they are simple mistakes that can be fixed immediately. Services like Libsyn and Blubrry allow you to replace a piece of audio if you've already uploaded and published your podcast. In other words,you won't lose any statistical data if you discover the mistake a few days after you have published your program. All you have to do is just upload the fixed piece of audio and everything will still work seamlessly. Do you have any other tips that you would like to contribute to this post? Leave a comment down below and share your thoughts on what you think podcasters can avoid when it comes to eliminating beginner mistakes. 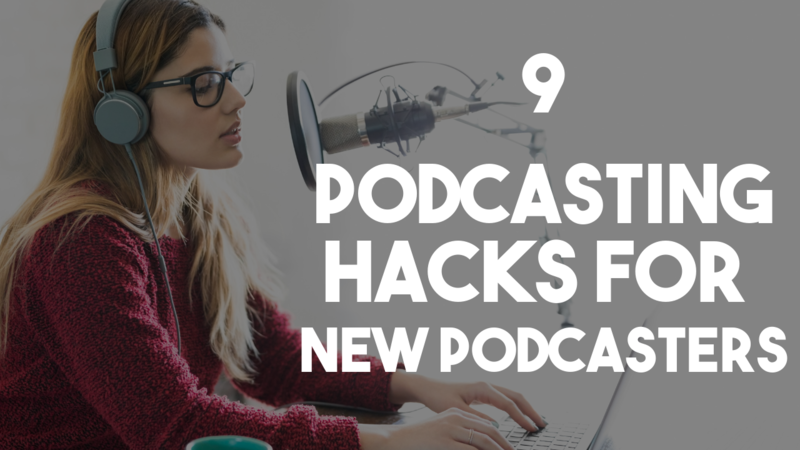 I hope these tips have been useful for you as you continue your journey in the podcasting space. If you want to learn more about podcasting, I encourage you to check out my YouTube channel and website for information on how I am shortening the learning curve for podcasters. 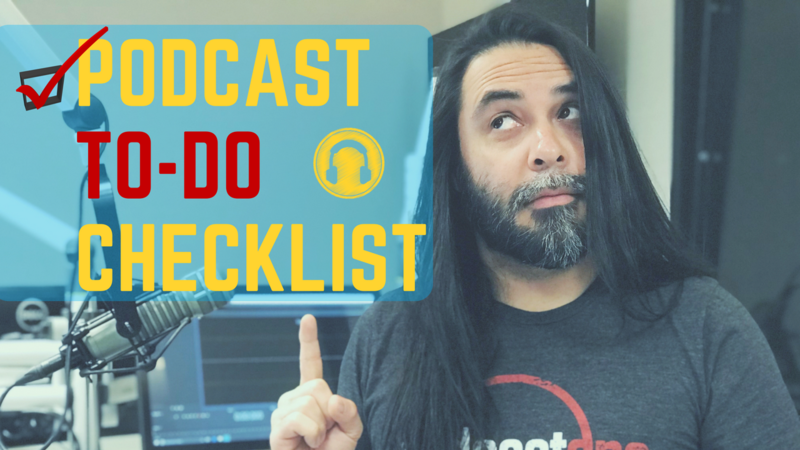 Here are a list of additional resources that I think might be helpful for you if you are just starting out as a podcaster or are looking to develop your podcast further. This blog post originally appeared on bloggingbrute.com.